Even to people who are against the legalization of marijuana, it is common knowledge now that the legal marijuana industry is growing at a rapid pace and this growth should continue for many years. In 2015, the industry grew by 17% to $5.4 billion in annual sales and estimates suggest that it will grow by a further 25% this year to $6.7 billion. With more states seriously considering legalizing the use of marijuana for recreational purposes, in addition to the four states that have already done so, to a regular investor, it might seem that now is the best time to jump on the cannabis bandwagon. However, smart money doesn’t seem to share the same view on the industry. Research done by Insider Monkey on the portfolios over 745 hedge funds we track shows that going into the third quarter, hedge funds as a group weren’t overly excited about many of the top names in the industry. 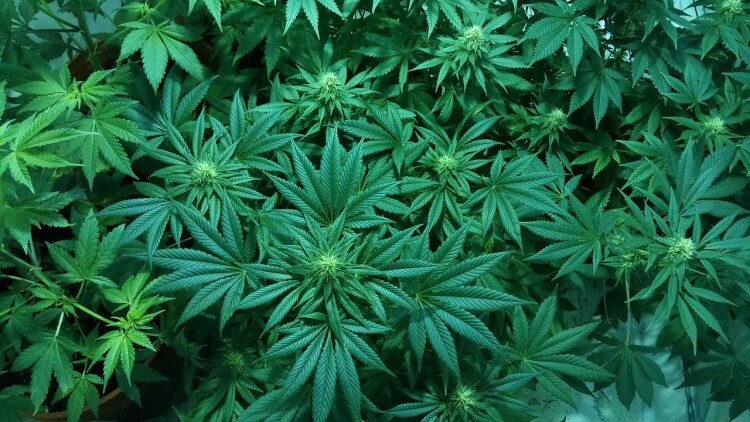 In this article, we’ll take a look at the five most popular marijuana stocks at the end of June among the group of successful hedge funds that we track and will discuss the performance of those stocks so far this year. At Insider Monkey, we track around 750 hedge funds and institutional investors. Through extensive backtests, we have determined that imitating some of the stocks that these investors are collectively bullish on can help retail investors generate double digits of alpha per year. The key is to focus on the small-cap picks of these funds, which are usually less followed by the broader market and allow for larger price inefficiencies (see more details). First up is 22nd Century Group Inc (NYSEMKT:XXII), which was owned by two hedge funds in our system on June 30. Shares of the New York-based biotechnology company have been on a permanent downtrend since March 2014, land have lost over 21% of their value in 2016. In April, Crede Capital, with whom 22nd Century Group Inc (NYSEMKT:XXII) terminated its joint merger last year due to non-performance and other breaches, filed a lawsuit against the company. Most analysts who track 22nd Century Group think that Crede Capital’s lawsuit doesn’t have any merit and that the concerns among investors regarding it are overblown. On August 10, 22nd Century Group reported its second quarter results, declaring a loss of $0.44 per share on revenue of $2.83 million, in-line with earnings estimates and topping revenue expectations by $130,000. The year 2016 is turning out to be a terrible one for Cara Therapeutics Inc (NASDAQ:CARA), as the company has lost almost 65% of its market capitalization. That has led to hedge funds fleeing the stock, as just eight in our database had long positions in it at the end of June, down from 14 at the end of March. Despite the massive beating that the stock has taken this year, several analysts continue to remain bullish on the company, citing the four pipeline drugs it has in development currently, three of which are close to being commercialized. On August 7, analysts at Needham & Company reiterated their ‘Buy’ rating on the stock, but lowered their price target on it to $23 from $27, which represents potential upside of nearly 310% from the stock’s current price. On the next page we’ll roll out the three most popular marijuana-related stocks among hedge funds.